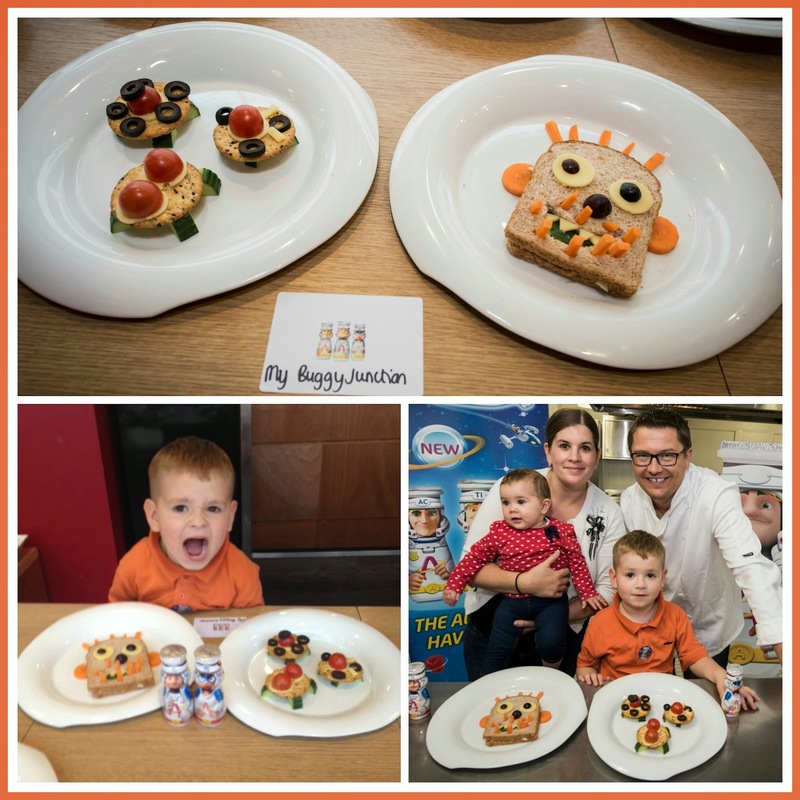 A while back on the weekend the kids and me went into Central London to the L’atelier des Chefs cookery school where Actimel invited us to take part at a creative food workshop with non other then top food artist and chef Mark Northeast who brought out the brilliant book “Funky Lunch“. Actimel have launched their new Actimel for Kids range with three delicious new flavours: Strawberry, Raspberry and Vanilla, they are great as a tasty accompaniment to breakfast, lunch box or as part of an after-school snack. Each bottle comes with three new space heroes named AC, TI and MEL. They are available in packs of six and have been in supermarkets since August. Unfortunately Tesco stopped stocking them which is a real shame because i now have to go to another supermarket to buy them because Finn loves them! 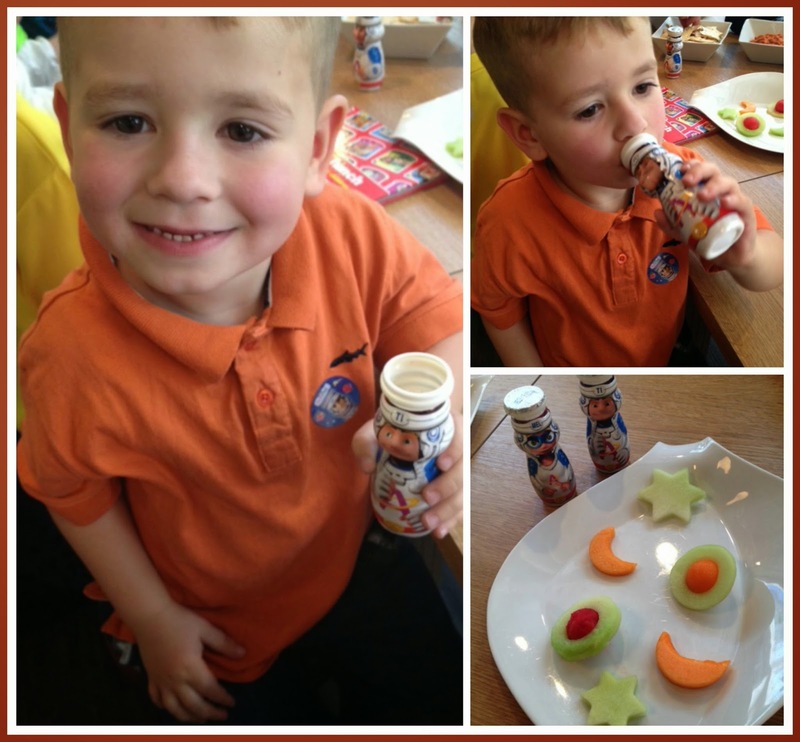 After having a taste (or a few bottles in Finns case) of the new Actimel for Kids range we went into the kitchen where Mark Northeast teached us in a few simple steps how to create fun and interesting lunches for kids. Disclaimer: I have been invited by Actimel to attend the Event and received a goodie bag but i have not been asked to write about the event and all opinions and thoughts are my own.